This is a rectangular King Midas Flour porcelain sign. 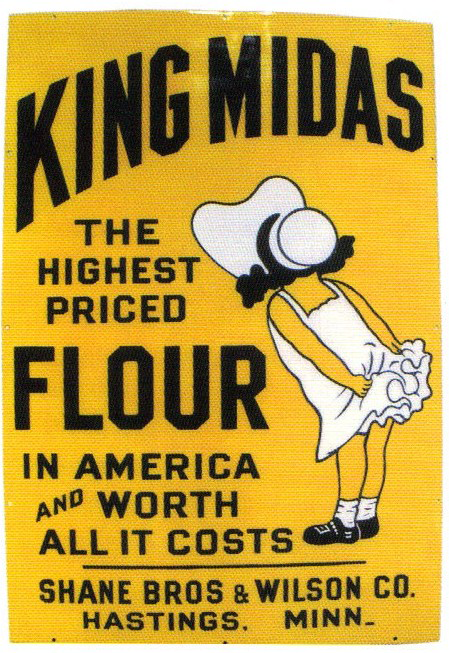 This particular King Midas Flour sign is yellow with black text. It reads, “King Midas, The Highest Priced Flour in America and Worth All It Costs, Shane Bros. & Wilson Co., Hastings, Minn.” and features a young girl dressed in white on the right side of the sign.